Many people using Red Funnel’s car ferry will be impacted by these extensive roadworks to the major route to/from Southampton. Expected end date 2020. We’re all familiar with turning left out of the Red Funnel terminal, which takes drivers on to the dual carriage way A33, past IKEA. The Redbridge Roundabout along that road will be familiar to many Islanders – perhaps not in name – as it takes you to the short M271, in turn to the M27, then the M3. The start date for works that will transform that busy Southampton roundabout that connects traffic to the M271 has now been revealed. Works to upgrade Redbridge Roundabout will start on 1st May and are expected to be completed by spring 2020. Residents will have the chance to look at the plans and quiz highway bosses at two public information events set to be held at Redbridge Primary School on 26th and 27th April. 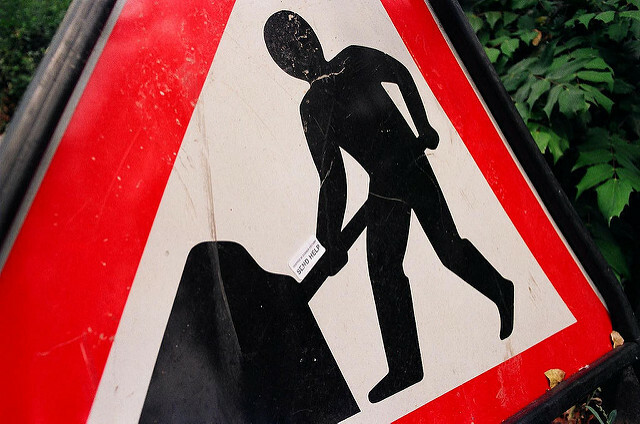 Lane closures, traffic and speed restrictions are set to be in place while construction works are carried out but further details and the diversion routes have not been disclosed yet. The scheme, which will delivered by Highways England and Southampton City Council, will add an extra lane to ease congestion for vehicles travelling from the motorway to the city centre and the port. According to the plans, the crossings on Redbridge Road will be upgraded and the existing footbridge will be replaced to make it possible for both pedestrians and cyclists to cross. A shared-use path will be built on the southern side of the roundabout. The scheme will also see improvements made to the subway by Gover Road, while the subway at the southern edge of the roundabout will be shut. “Road closures may be required, but these will be restricted to night time and will include signed diversions. “In advance of works, we will communicate with local businesses, residents and interested parties to advise them of the pre-planned closures and temporary diversions. Highways England also said desire lines from residents to schools will be maintained. Meanwhile, access to places of work and businesses as well as access to Redbridge railway station and Redbridge Towers will be unaffected. The project will cost between £12 million and £14 million. “The major project from Highways England to improve Redbridge Roundabout and the M271 is key to improving journey times on the Western Approach to Southampton for the long term. “We have therefore contributed £300k to the total cost of the project. The public information events will be held from 4pm to 7pm on 26th April and from 10am to 4pm on 27th April.